MELBOURNE, FLA. – Following their run up against several nationally-ranked teams at the Central Sprints in Oklahoma, the Sharks’ varsity four boat received the Sunshine State Conference Boat of the Week honors. 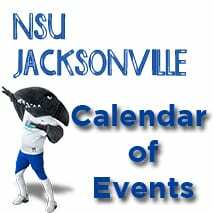 It is the first conference weekly honor for the Sharks this season – the first for NSU since 2016. In the first piece, NSU’s Miranda Sadlow (Coxswain), Samantha Loriot (Bow), Stephanie Fleming (2), Barbara Sansur (3), and Mikayla Switzer (4) ended with an 8:44.19 time. In the second piece, Maydelissa Pinell swapped with Sadlow as the coxswain and the Sharks improved their time by over 14 seconds, placing ahead of both Rollins College and the combined team of Philadelphia College and Thomas Jefferson College, crossing the finish line at 8:30.10. For NSU, this is the seventh time the Sharks have received this award all-time. Be sure to follow @NSU_Rowing on Twitter or visit NSUSharks.com for updates and results. To keep in touch with the team be sure to follow nsu_rowing on Instagram and @NSURowing on Facebook.